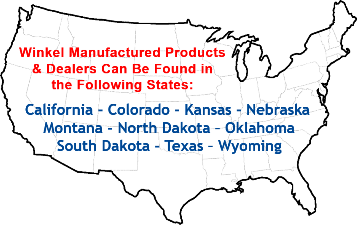 Winkel products are available at these locations. We urge you to stop by the dealer nearest you to inspect the quality of livestock and ranch equipment that Winkel's are known for. DEALERS -- Are you interested in providing Winkel-made equipment to your customers? Please contact us today!